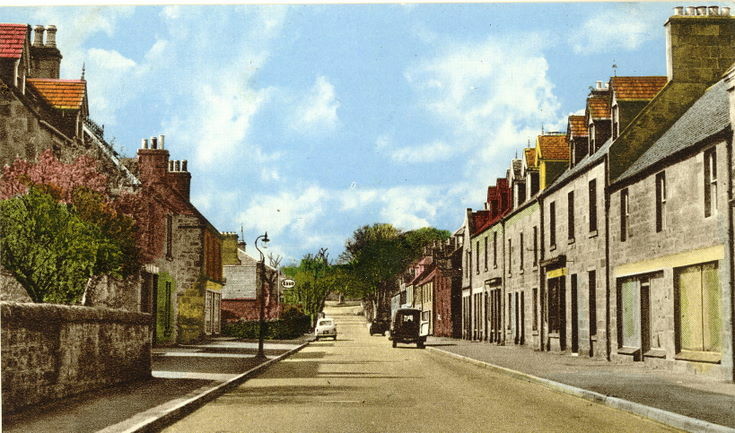 Tinted postcard of Castle Street Dornoch, looking east, taken from the area of Castle Close. From an album of postcards and photographs taken by Mrs J.I.C. Mackay of Dornoch and its surrounding area.